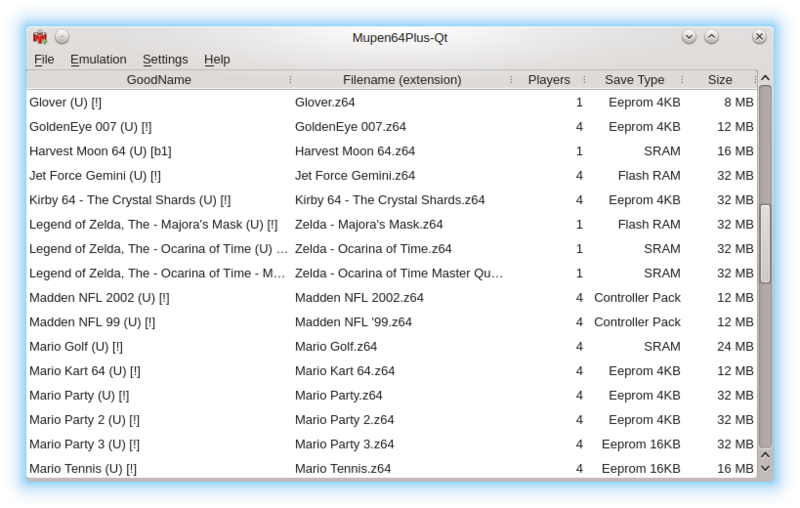 Mupen64Plus-Qt Git (2018/07/30) is released. wxMupen64Plus is a basic cross-platform launcher. This was adapted from CEN64-Qt to work with Mupen64Plus.